What comes to mind for you when you hear the word consolidate? Probably all things finance related. Well that’s not the theme of this month’s SIMPLIFY MY LIFE Simplify task. Nope. Although we will be looking at money in the not so distant future. For the purpose of this task, I am referring to consolidating the things you need to do to get you back more of your precious time. Last month we looked at EVALUATING our time. Working out where all of our time goes, whether it be work, travel, or those dreaded procrastinators like spending too many hours on social media or watching TV. Hopefully by now you’ve had a chance to look at where your time goes and see where the biggest portions go. 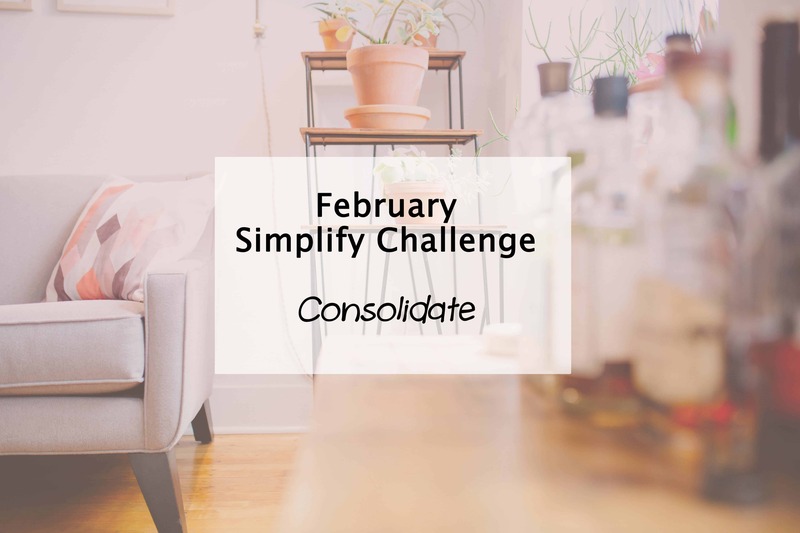 Chances are some of that time could have been used better so this month we are looking at where we can consolidate our time to free up a little extra to get more done… or simply enjoy. 1. Designate set times each day – to do certain tasks, such as checking emails, surfing the internet and chatting to friends. If you find yourself checking your phone or PC every time you hear a new notification, your productivity is greatly reduced. By setting yourself times to do these things, such as an hour in the morning and an hour after lunch, you will be less distracted on the other tasks you need to be doing. 2. Create duel purpose trips – such as running errands at the same time as dropping the kids off at school or doing the groceries, so you are making one trip rather than several each day. The same can be done around the house, such as putting on a load of washing when you go to feed the cat in the laundry (if you have a cat that eats in the laundry). Combining (CONSOLIDATING) our tasks saves time. 3. Meal plan – then create a shopping list of food you actually need, rather than wandering aimlessly through the grocery store trying to figure out what you might cook for the week ahead. Better still… consider freezer cooking to save hours each month by doing a massive cook up once a month. Imagine what you can do with all that time normally spent in the kitchen each night. 4. Multi-task – by doing the things you enjoy while doing the things you have to. Listen to a audio book on the drive to work, exercise during the adverts of your favourite tv show, or how about running around outside with the kids instead of going to the gym. Perfect… and exhausting. 5. A little bit each day – Create a cleaning schedule, spend 5 minutes decluttering a room before bed, list one item to sell on ebay each day from your must sell box and any other little task you can think of. Each of these things done in one big sitting can take hours, but getting into the habit of a little bit each day will save time in the long run and reduce the overall effort needed. 6. Share the load – by getting others on board. Have the kids learn early on to clean up their own toys as part of the bedtime routine, get the hubby involved in the cooking and cleaning, or have your house mate drop your letters in the box on their way to work to save you a trip. YOU DON’T NEED TO DO IT ALL YOURSELF! You may want to check out some more ideas on increasing productivity also, which are useful reminders again where time can go. And don’t forget to check out the tasks so far, with the full list on the challenge page. With these suggestions in mind as just a few of the ways you can consolidate your time, what changes do you plan to make? OMG if only I had time on my schedule to simplify my life…wait that’s the point isn’t it? Nice tips to get started! I need to keep that last point in mind – I don’t have to do it all myself, I can ask for help. Exactly! So many of us forget that… Especially mums I think lol instead of thinking it’s easier to do it ourselves, we can start training the other half and kids to be more self reliant too. Today I trained my toddler to go fetch nappies for me haha prep for when baby 2 arrives. I like the ideas here. I do some naturally already, but I could get much better at others. Especially internet time, and decluttering. Five minutes can actually help you accomplish quite a lot. I love these ideas! Thanks so much for sharing it with us at Totally Terrific Tuesday! I hope we see you again this week. Party starts tonight at 10pm!